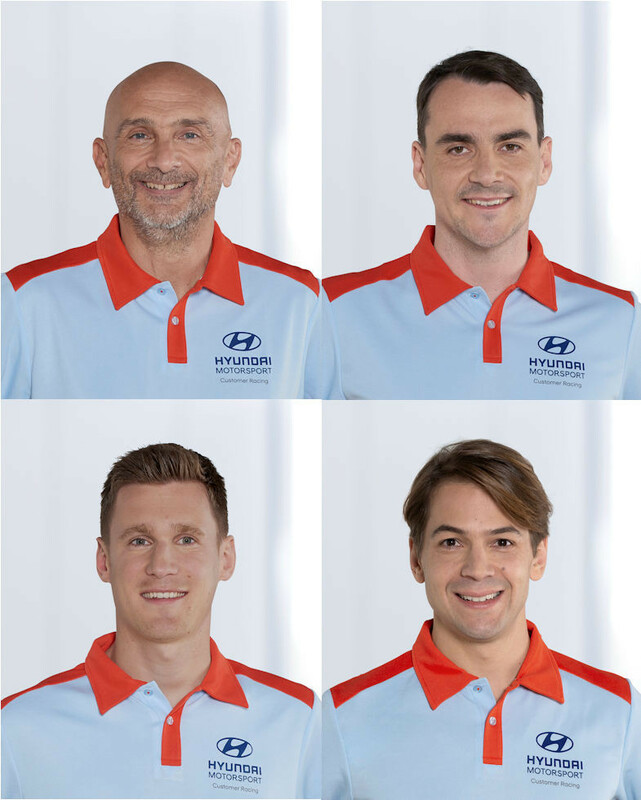 Hyundai Motorsport has confirmed a factory supported four-driver line-up for the 2019 World Touring Car Cup, with champion Gabriele Tarquini and team-mate Norbert Michelisz to be joined by returning drivers Nicky Catsburg and Augusto Farfus in a top tier driver squad. Current champion Tarquini will be back on the grid to defend his title, soon after celebrating his 57th birthday in March, while 2017 championship runner-up Michelisz will also return for his second year with the manufacturer after switching from Honda at the start of the year. Returning after a year away, after competing in the forerunning WTCC between 2015-2017 with Lada Sport and Polestar Cyan Racing is Nicky Catsburg, who will race in the WTCR alongside his BMW GT sports car programme. Mirroring this arrangement will be Augusto Farfus, who has left BMW’s DTM programme, but will continue to drive for the German marque in sports cars, while returning to FIA World Touring Cars for the first time since 2010, and back in a front-wheel drive car for the first time since he raced the N Technology-run Alfa Romeo 156 S2000 in 2006. Norbert Michelisz added: “Everybody saw in 2018 how strong the Hyundai i30 N TCR is in FIA WTCR with the results myself and Gabriele were able to score. Together we had a very strong season for BRC Racing Team in the teams’ standings. “I am really excited by the prospect of a return to touring car racing. The WTCR championship proved itself a worthy and competitive replacement for the WTCC last year and I watched all the races with interest and I always had a desire to get on the grid in 2019. “I am very grateful for my time, and my success in GT racing, but after seeing the level of competition in the FIA WTCR, I am very excited to be joining the grid for 2019. It will be a new challenge for me, as I have not driven a TCR car before – in fact the last time I raced in front-wheel drive was back in 2006. The two teams which will race the i30 N TCRs are yet to be confirmed. Tarquini and Michelisz raced for the Italian BRC Racing Team in 2018, while the second Hyundai team, YMR, have moved away from Hyundai and become part of the new Lynk & Co Cyan Racing operation, meaning another team is set to replace them.